I’m almost afraid to write this review. 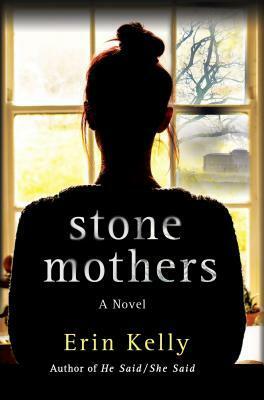 Stone Mothers, by Erin Kelly, begins as a slow burn before igniting after the first of multiple key twists. I’m worried that I might reveal too much and ruin the whole experience. This book is layered with plot, tension, and secrets. I want to gush about it, but I have to keep some of those secrets for other readers. Because I really hope that this book has a lot of readers. It is one of the best thrillers I’ve read in a long while. Stone Mothers opens in 2018, when Marianne receives an unpleasant surprise from her loving husband. He has no idea that his purchasing an apartment in Royal Park, Nusstead, would be an unpleasant surprise, even though the place used to be an asylum and someone was murdered there years ago. It’s not the building’s history that worries Marianne—at least, not the history people know from the news. Marianne slowly reveals her past in Nusstead and why she is terror-stricken at the thought of moving back there. The least of it is that being in Nusstead means that she’s much more likely to run into her teenage boyfriend, Jesse. She and Jesse have been holding a secret for decades and it seems that Jesse is starting to wobble. The second third of Stone Mothers jumps back to 1988, when Marianne was still a teen, Royal Park was still an asylum, and Jesse and his entire family were campaigning against the closure of the asylum. Almost everyone worked at the asylum in one way or another, but the 1980s in England were the home of Thatcherism. Almost anything that receives government funding is on notice for downsizing or closure. The Nusstead Asylum has already been shutdown by the full-steam-ahead Helen Greenlaw, a rising administrator who refuses to hear any argument to reopen the asylum. But when Marianne discovers some old hospital records, purely by accident, that hint at a deadly secret held by Helen, she hatches a plan with Jesse that almost immediately gets out of control. The last third jumps back even further in time, to 1958, when young Helen Morris was incarcerated at the asylum under terrible circumstances. This section reads almost like a completely different novel. This third, unlike the very-much-a-thriller first two-thirds, is almost Victorian in the way that the asylum is portrayed. That said, this third rejoins the first parts of the novel in spectacular fashion after giving us Helen’s story. The last chapters bring us back to the present. They give us a front row seat to the incredible conclusion of decades of plots. By the time we learn everyone’s secrets, all of our ideas about who is a hero and who is a villain have been completely turned on their head. I loved every chapter because it took me further down the rabbit hole. In Stone Mothers, secrets are preceded by misunderstandings that are worse than the secrets. This novel is the story of a group of people who make mistakes, then compound them by trying to keep their secrets. Every step they make is perfectly logical; and every step they make is absolutely the wrong thing to do. 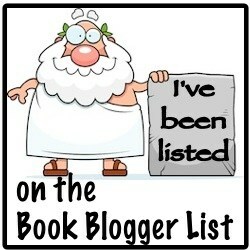 I just requested the book on Netgalley thanks to your review!